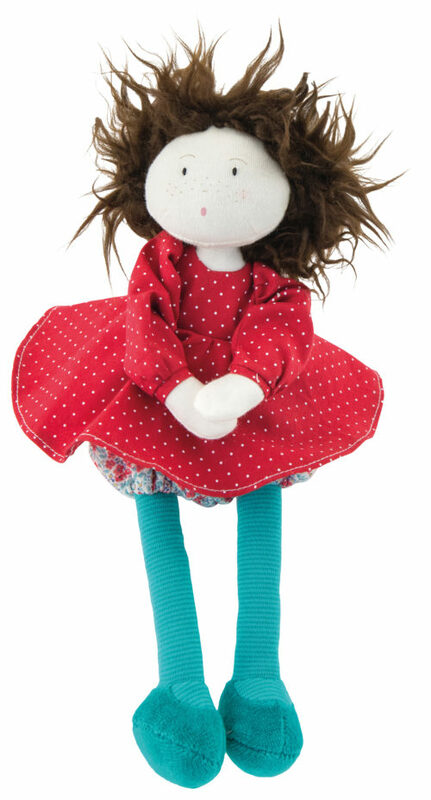 A delightful range of rag dolls, the Coquettes are beautifully dressed in outfits made with European fabrics. 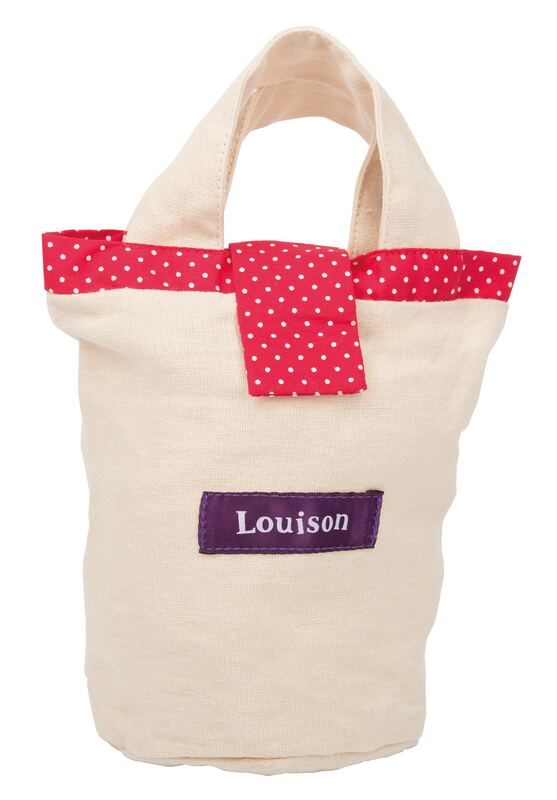 Each doll comes with a linen bag labelled with their name and trimmed in fabric to match their dress. Louison is 28 cm tall. 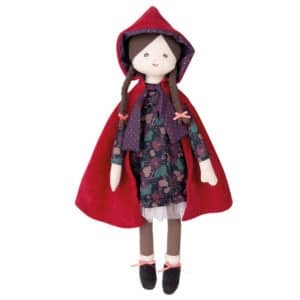 She is wearing a long sleeved red frock sprinkled with white polka dots and floral bloomers coupled with aqua leggings and ballet slippers. 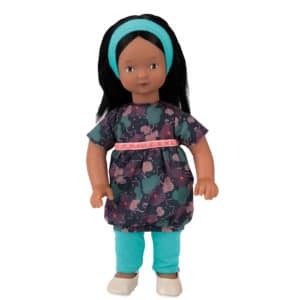 Louison has wild and woolly black hair with a little purple bow.